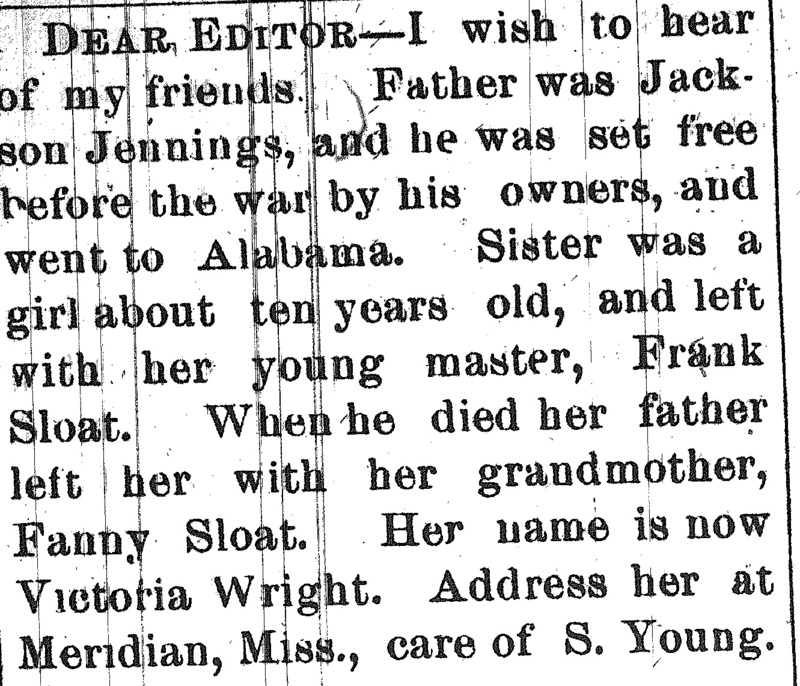 She is looking for friends and family of Jackson Jennings. Meridian, Miss., care of S. Young. susanwmarks, “S. 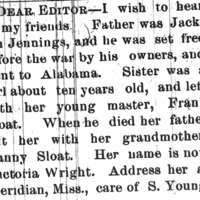 Young,” Dear Editor Ad, The Southwestern Christian Advocate (New Orleans, LA), February 28, 1884, Last Seen: Finding Family After Slavery, accessed April 19, 2019, http://informationwanted.org/items/show/1237.